Obesity among children is on the increase, triggering a whole range of health problems. But we also know what a sensitive subject weight can be. Could even mentioning a straining waistband on your child’s school trousers trigger hurt feelings, a quest to reach size zero, or even a lifelong eating disorder? Little wonder, then, that many of us just keep quiet and hope the problem sorts itself out. According to the most recent studies almost a third (31%) of all children between the ages of two and 10 are overweight or obese. As they grow, so does the issue - 35% of 11-15 year olds are classed as overweight or obese. Government experts predict that if the trend continues, by 2050 more than half of boys and 70 per cent of girls could be in the overweight or obese category. According to MEND, young people are increasingly suffering from serious illnesses and conditions related to obesity – including asthma, type 2 diabetes, fatty liver, gallstones and high blood pressure. More than half of obese children become obese adults. The condition is responsible for 9,000 premature deaths each year in England, and threatens to reduce life expectancy by an average of nine years. Step 1: Act early. Experts agree that the earlier you can make changes to your child’s diet and lifestyle, the better chance of success you have.Don’t despair if you’re the parent of an overweight teenager. 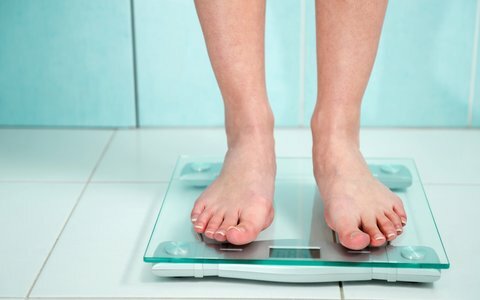 “It’s actually easier to talk to teenagers about their weight than younger children,” says Dr Chadwick. “By the time they reach teenage years, they are well aware of their weight status and are often willing to work with you. Step 4: Talk about it. The easiest way to make something into a big issue is to have a 'big talk' about it, says Paul. Avoid letting them snack mindlessly while watching TV or playing on the computer. Establish a regular meal and snack pattern – ideally sitting down together as a family – rather than allowing constant grazing. This trains children to recognise feelings of hunger and fullness. Encourage your child to tune into their tum – to eat when they feel hungry and stop when they feel full. Cut down on and gradually eliminate sweetened soft drinks. Scientists have found a direct link between these and weight gain. Switch to diluted squash (use fizzy water if they crave bubbles) or water. Eat a healthy breakfast. Studies show obese children are more likely to skip breakfast then snack on high calorie, high fat foods to quell hunger pangs. Limit meals out and takeaways. A quarter of families now eat out at least once a week. But studies of popular restaurant chains show that none come even close to meeting the Government’s minimum standards laid down for school meals. Don’t supersize. It’s too easy to upgrade to larger popcorn, fries and drinks for only a few pence more. But studies suggest that larger portions mean we automatically eat more, which can then become a habit. Never insist on a clean plate or force your child to eat more when they’ve had enough. Accept when they are full. It’s a skill we often lose with age! Get moving. Kids need a full hour of ‘moderate intensity’ physical exercise (anything that gets them warmed up and breathing harder) every day outside of school, yet three quarters of them – particularly girls - aren’t getting this. They can achieve this in one session or shorter bouts – so could include a brisk scoot to and from school, 15 minutes playing in the garden before tea, 30 minutes walking the dog…Tot up the minutes to reach the hour target. Limit screen time: According to recent studies children are spending a whopping five hours and 18 minutes, every day, staring at a screen (tv, computer, games console). Limit all viewing to a maximum of two hours a day. Get the TV guide out to help them plan viewing time rather than just watching whatever is on. Don’t take the easy option. Yes, it’s soul-destroying slaving over a healthy meal only to have your kids turn their noses up. Offering chicken nuggets and chips because you know you’ll get an empty plate makes life easier short-term – but at what cost? Involve kids in the cooking and chopping process to get them taking more of an interest.